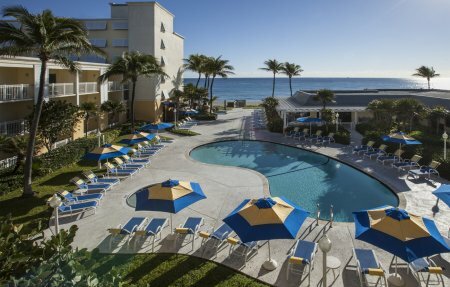 2018 Luxury Delray Sands Resort in Highland Beach near Boca Raton, FLORIDA! Bid per Room per Night and Choose Your Length of Stay! 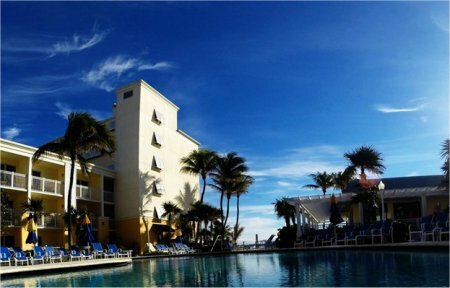 Delray Sands Resort is a beachfront hotel in Highland Beach that presents the ideal Florida vacation. The luxury resort features an expansive outdoor pool, an all-day dining venue, a lively bar, and a prime location. Every guestroom and suite at Delray Sands Resort offer modern conveniences such as complimentary WiFi, daily newspaper delivery, mini-refrigerators, and outstanding views. 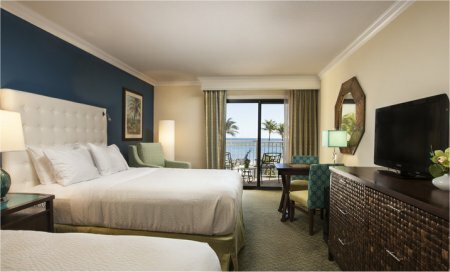 Airy, spacious accommodations come standard at the luxury Delray Sands Resort. Each of the well-appointed guestrooms and suites offer a home away from home with amenities such as complimentary WiFi, coffee maker, mini-refrigerator, individually controlled thermostat, and daily newspaper delivery. Select rooms grant oceanfront views and balconies. 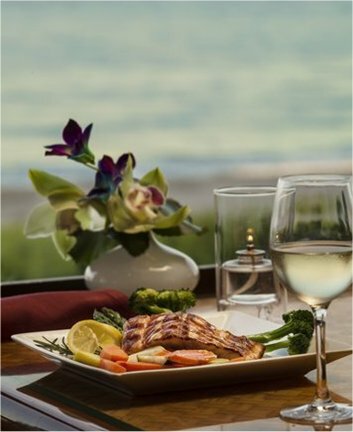 Latitudes Ocean Grill is a fantastic dining option for guests of Delray Sands Resort and locals of the Boca Raton area to mingle and enjoy delicious a meal. Latitudes offers a wide selection of fresh seafood and international cuisine for breakfast, lunch, and dinner along with panoramic views of the ocean. On Sunday, the restaurant offers a champagne brunch with a buffet feast that cannot be missed. Latitudes Bar provides a lively atmosphere, delectable signature cocktails and beverages, and live music on the weekends. The prime location of Delray Sands Resort allows for endless amount of entertainment and fun in Florida from championship golf, relaxing spas, and exciting water activities. The beachfront property is near the lively Mizner Park, which offers shopping, restaurants, golf, live music, and more. Stay for a minimum of 1 Night or up to 2 nights as desired and based on availability.